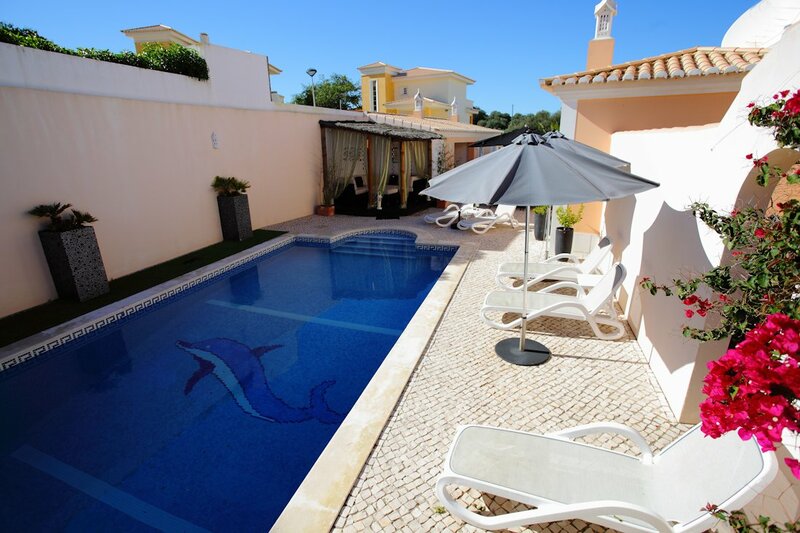 Villa Belle is a modern three bedroom air-conditioned villa with private heated pool in Atalaia, near Lagos in the Western Algarve. 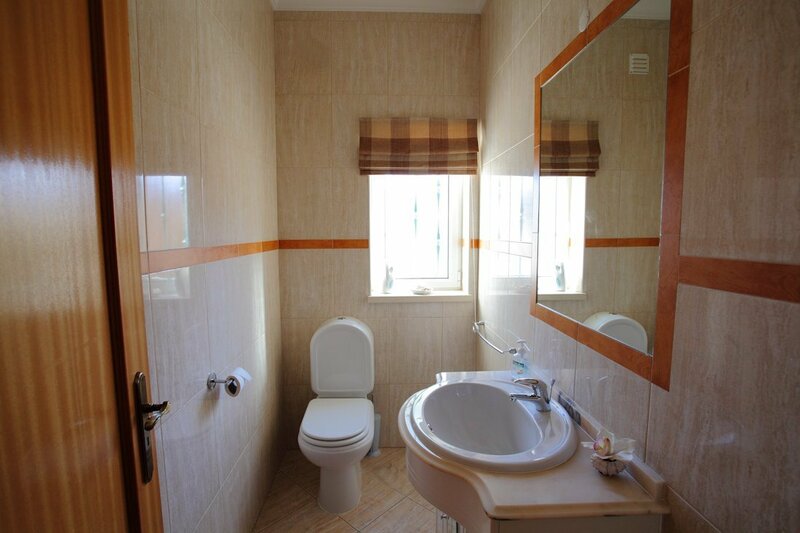 Accommodation consists of one king size bedroom with en-suite bathroom, one king size bedroom with separate bathroom and one twin bedroom with en-suite bathroom. The twin beds can open up to sleep an additional two people. 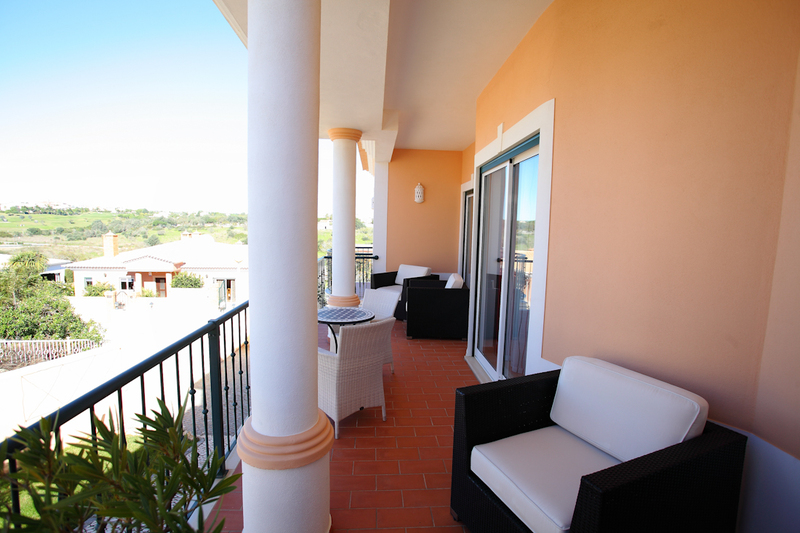 Each bedroom has Sky television and an iPod docking station with access to the terraces. There is an additional cloakroom on the ground floor. 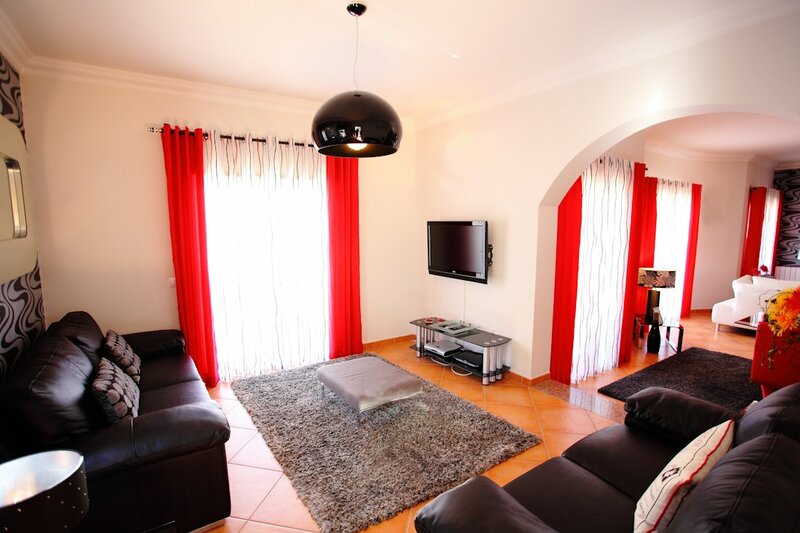 The sitting room is very spacious and there is satellite television, a DVD player and an open fire for the cooler months. This living area leads to the stylish dining area. 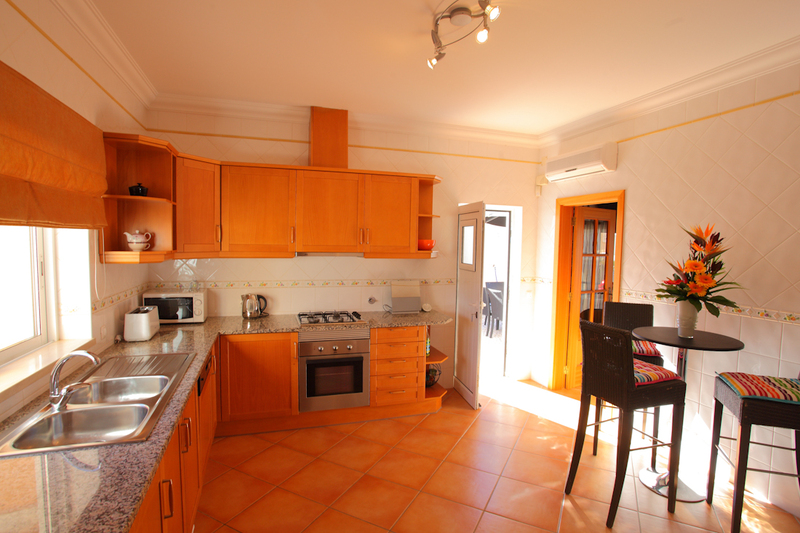 The kitchen is well-equipped and has a microwave, washing machine and dishwasher amongst the usual appliances. 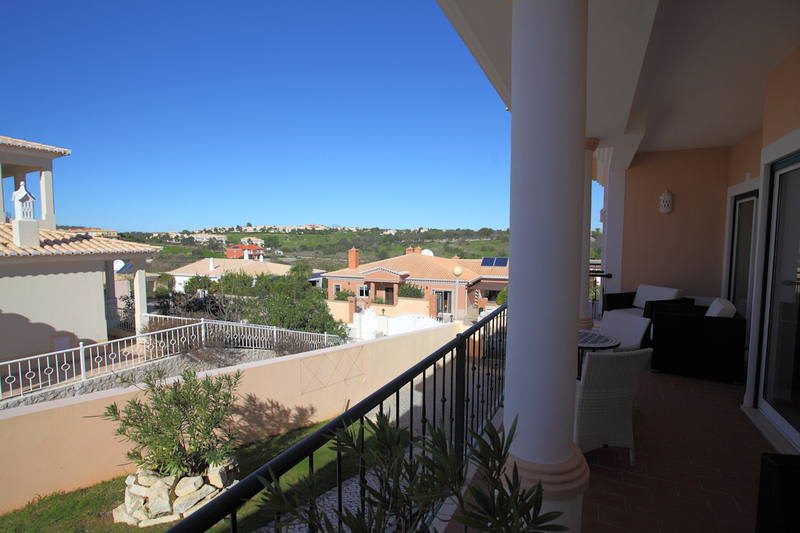 The villa is set in beautiful landscaped gardens with large furnished terraces to enjoy the views over the golf course of Boa Vista. The pool is heated and there is an outdoor shower room. There is a beautiful furnished Gazebo, everybody’s favourite place, year round, with a heater and soft lighting. 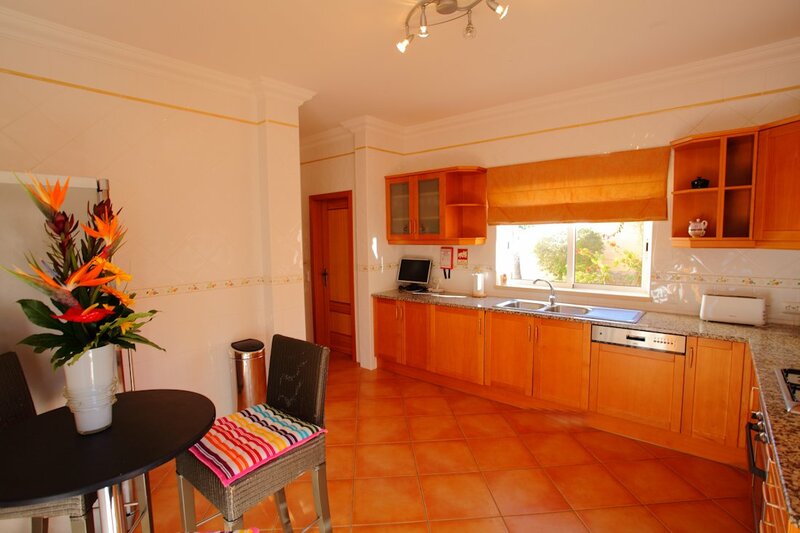 The barbecue area is well furnished and has a sink and wine fridge! 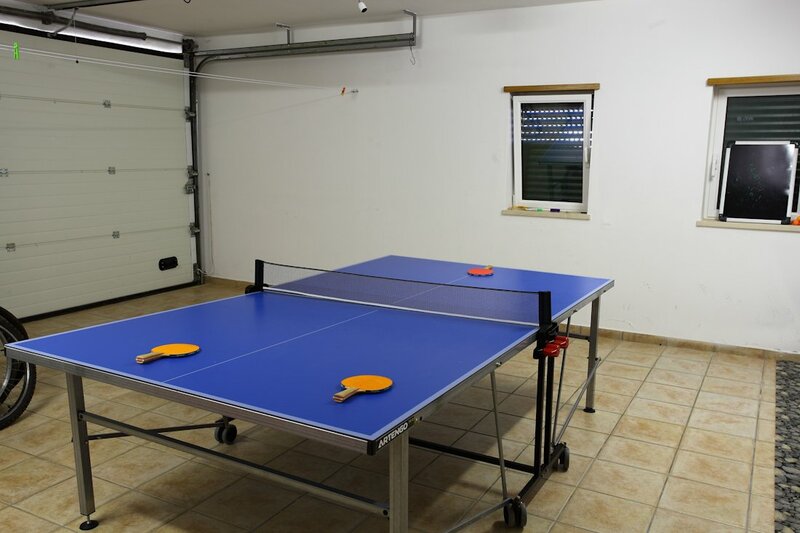 There is also a table tennis table at the property. The villa is surrounded by walls and gates making it very secure. Access is through a pedestrian gate which has a key pad and electric gates for a vehicle. There is also a private garage and an alarm which is linked to a 24 hour call center, in the unlikely event this should be needed. 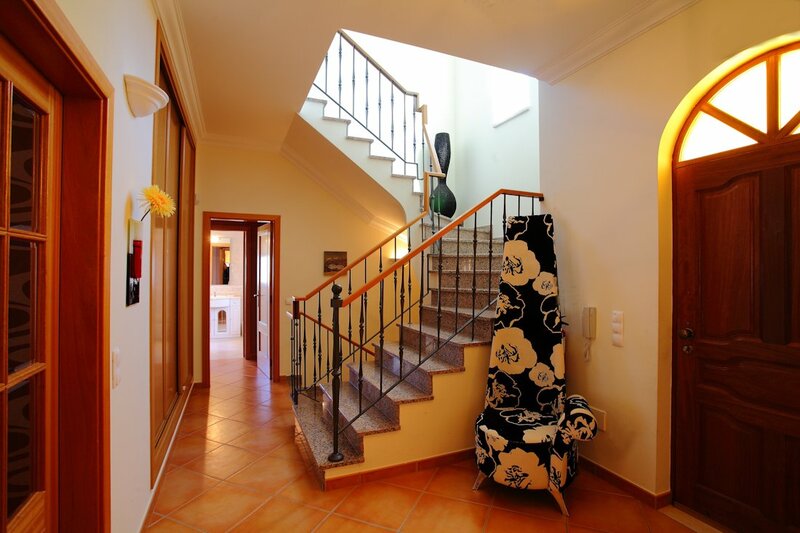 This property is completely accessible to clients with mobility problems. There are no steps to the pedestrian gate or up to the front door. There is a slope up from the car parking area and wide steps on one side but these can all be avoided by using the small gate. 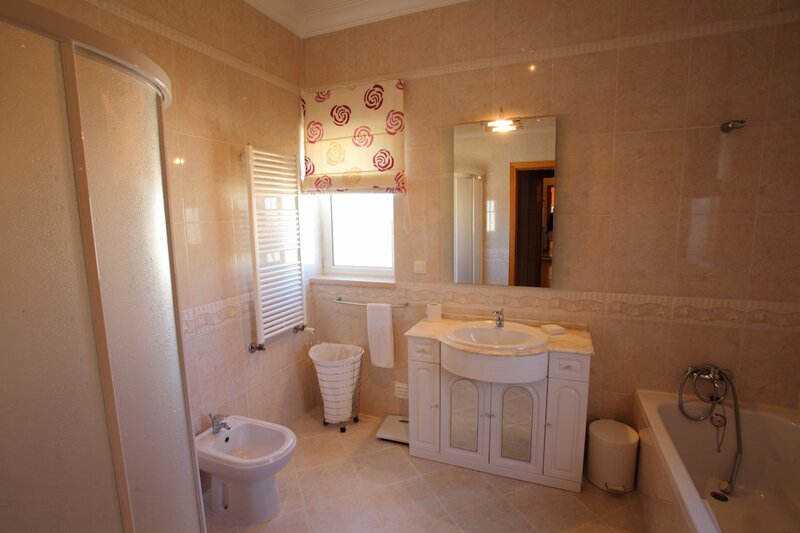 The master suite is also on the ground floor with a large en-suite bathroom. 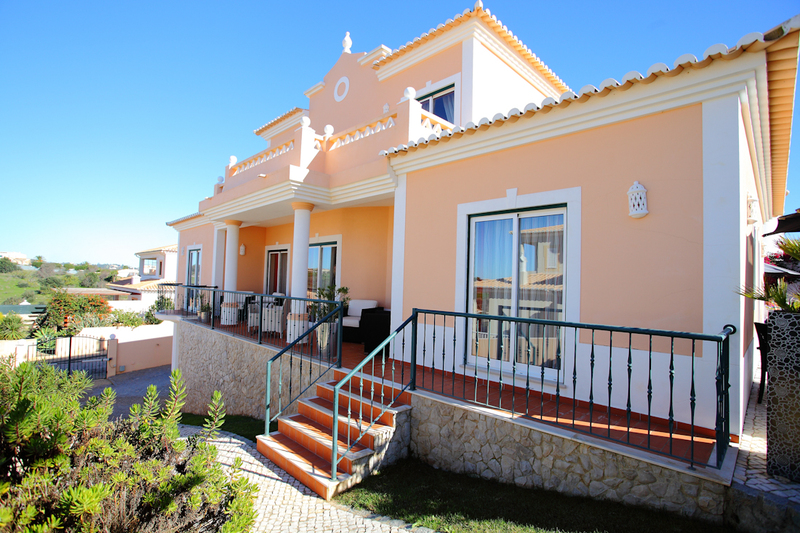 Villa Belle is located in a quiet, residential cul de sac in Atalaia. The nearest supermarket is a five minute drive from the villa and sells fresh bread daily. The nearest town is Lagos where there are many shops, banks, restaurants and bars. Also ten minutes away is the cosmopolitan Lagos Marina where you can book boat trips, deep-sea fishing boats, dolphin spotting tours and grotto tours. There is also a very successful PADI diving centre there if you wish to explore the seabed. They run beginner’s courses. 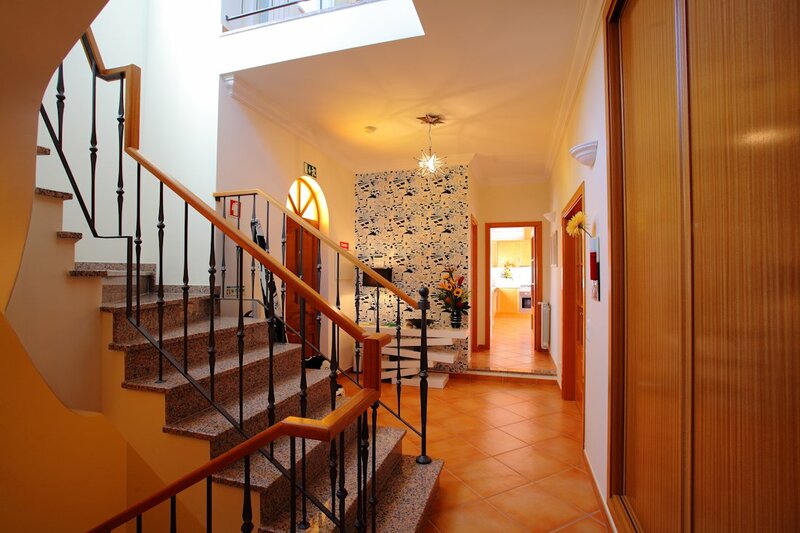 There are several well known golf courses within a short drive of Lagos, Boa Vista being just five minutes away, Palmeras and Parque de Floresta fifteen minutes drive to the West and Penina and Alto thirty minutes to the east of Lagos. 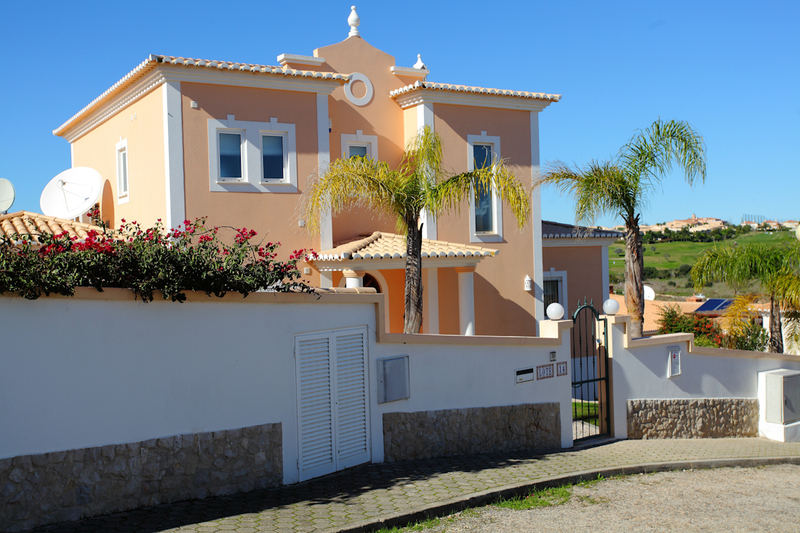 The beautiful mountains of Monchique are a forty minute drive and Portimão shopping centre with its cinema is just twenty five minutes away. There are a couple of excellent water parks a short drive away as is Zoo Marine, a popular day out for all the family where you can swim with the dolphins!